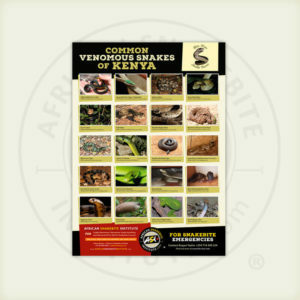 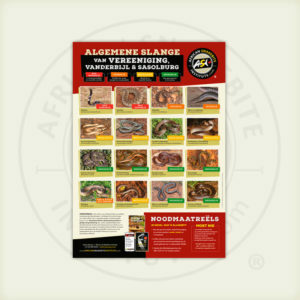 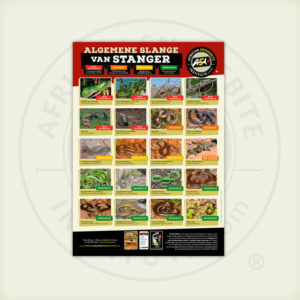 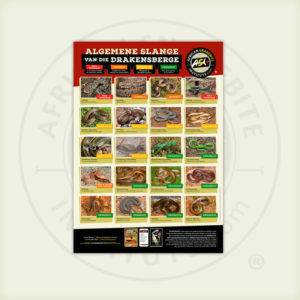 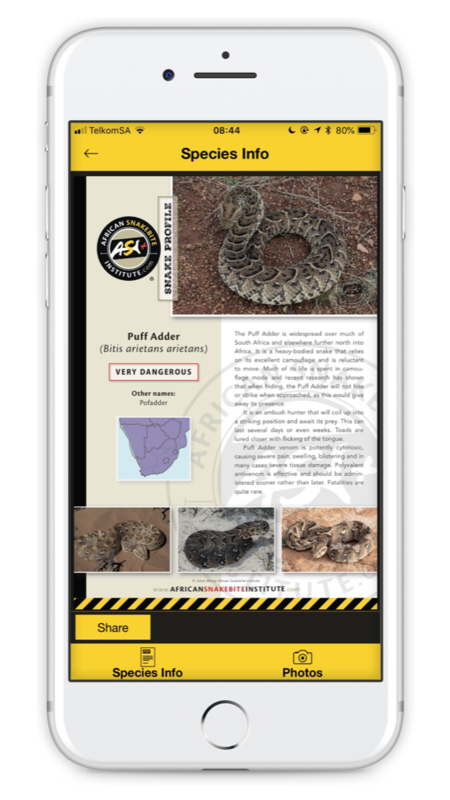 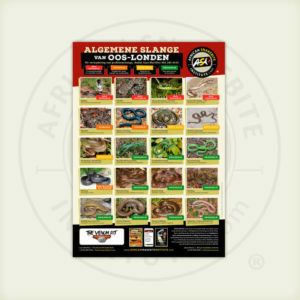 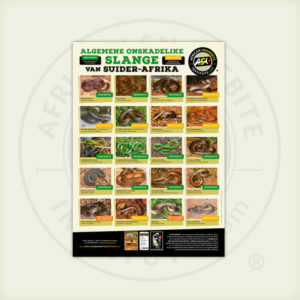 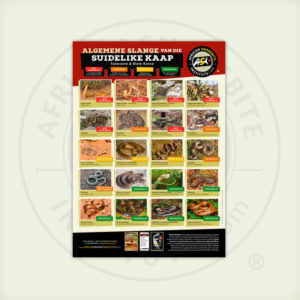 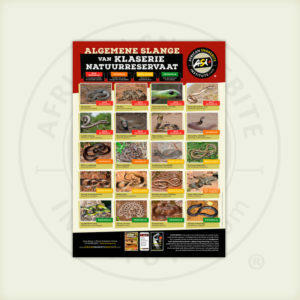 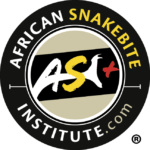 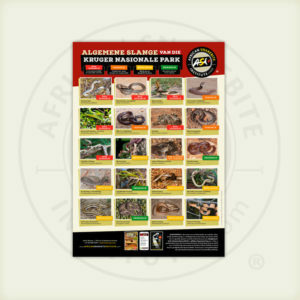 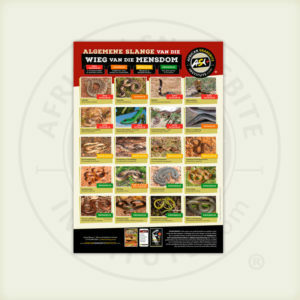 The African Snakebite Institute has developed a variety of snake, spider and scorpion posters to assist with easy identification. These posters are available as free downloads from our website. 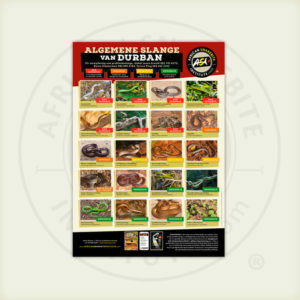 All posters A3 unless stated otherwise. 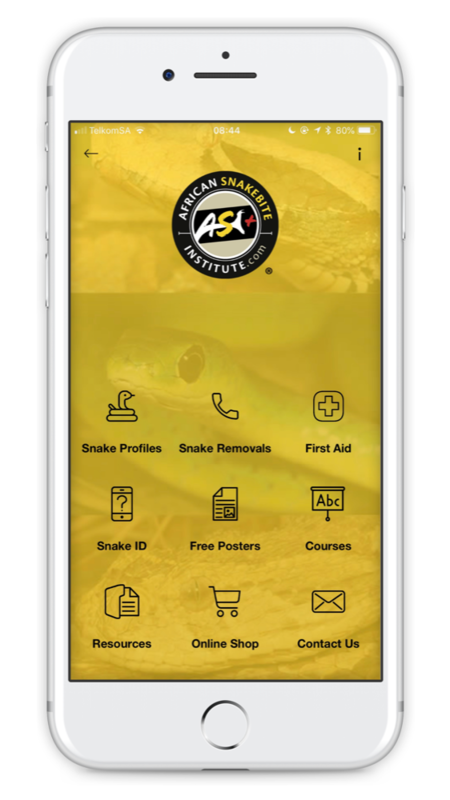 Please direct copyright enquiries to Ashley via the ASI Contact page. Free posters of dangerous, harmless and common snakes according to countries, as well as regions and cities in Southern Africa. 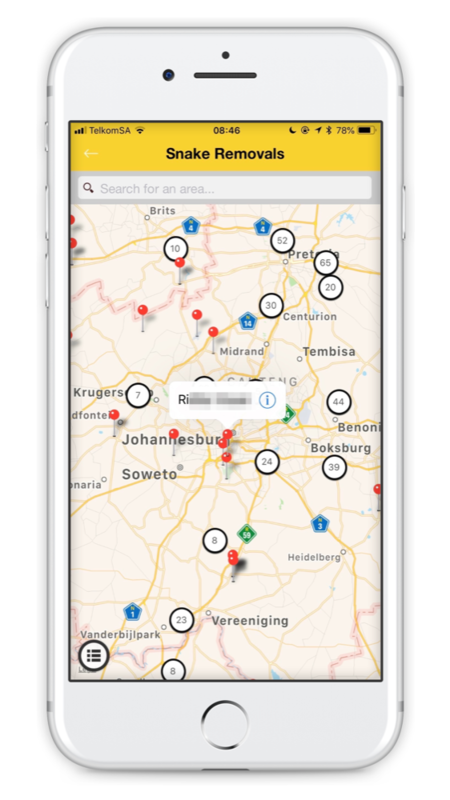 Available in several languages, including Afrikaans, English, German, Portuguese, French and Zulu. These posters contain either the dangerous or the common snakes of various countries throughout Africa. 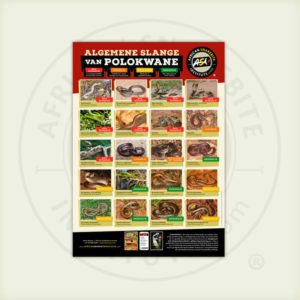 These posters contain either the dangerous or the common snakes of various regions within Africa. These posters are of either the dangerous or common harmless snakes of various regions of Southern Africa. Additional posters will be added from time to time. 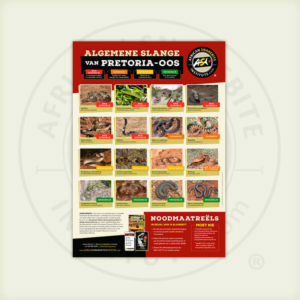 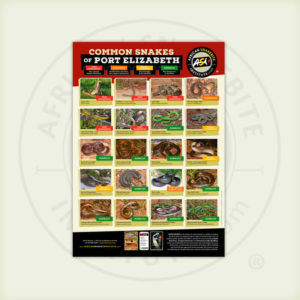 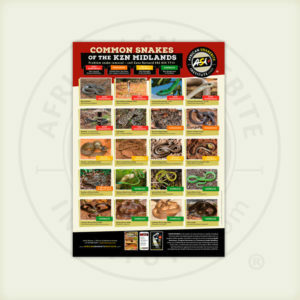 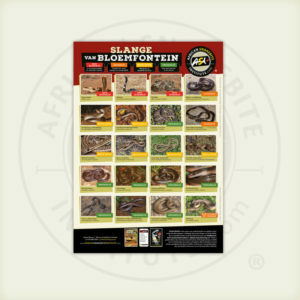 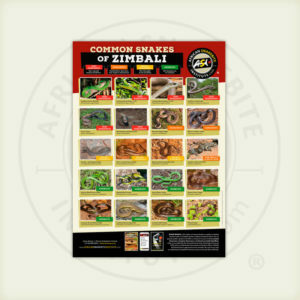 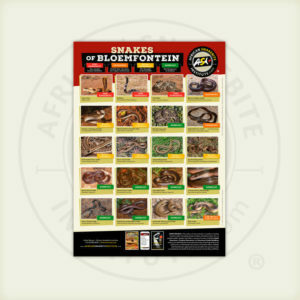 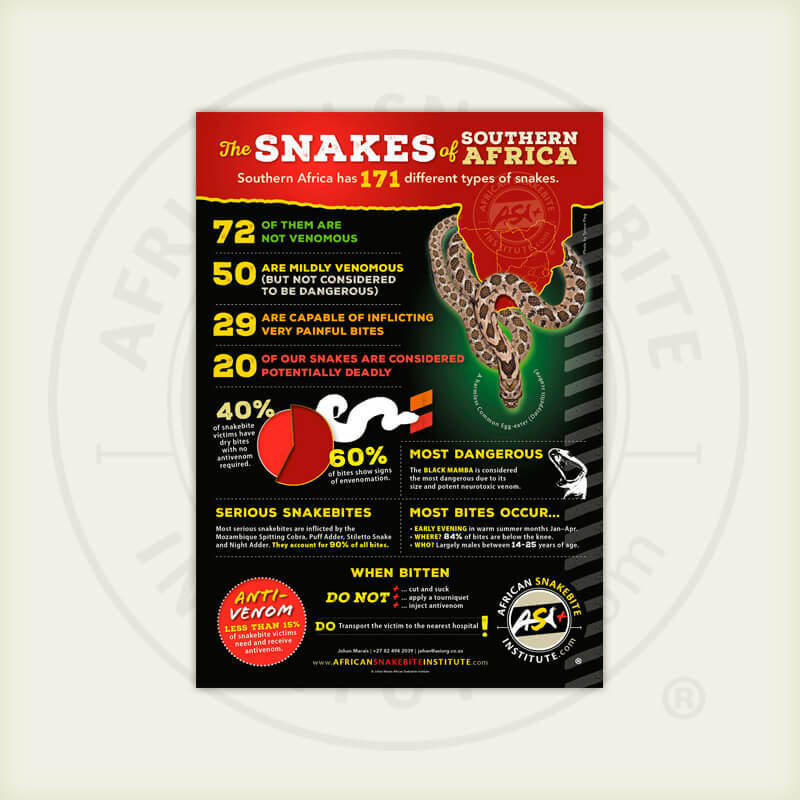 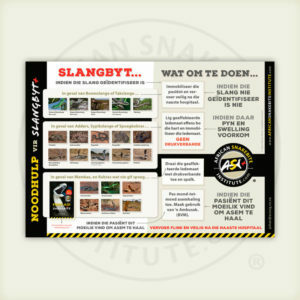 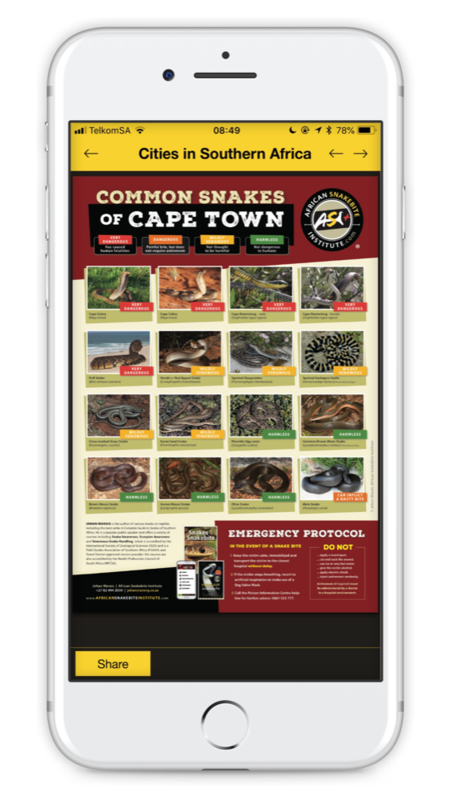 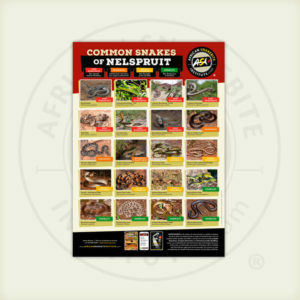 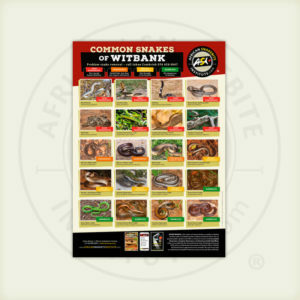 The African Snakebite Institute has developed a number of posters of common or dangerous snakes of various towns and cities in Southern Africa. More posters will be added from time to time. 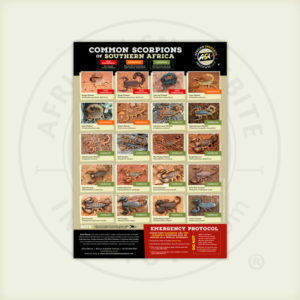 Very few different scorpion species are often encountered and in these posters we focus on those that people may encounter in their gardens or whilst outdoors. 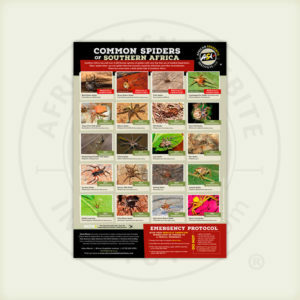 Despite an abundance of spiders in Southern Africa, few species are often seen. In this poster we have included those spiders that are often encountered by people.